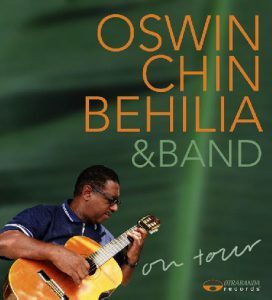 Oswin Chin Behilia´s international debut album Bendishon disfrasá was well received. His second international release offers live renditions of his songs sung in Papiamento, the local creole language of the Dutch Antilles. His sextet which includes the crème de la crème of musicians from his native isle of Curaçao offers the perfect accompaniment to “Chin’s” warm voice. The tracks on this album span a songwriting career that began in the 1960s and include classics of the Papiamento songbook as well as several of his most recent compositions. 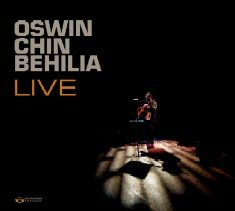 Oswin Chin Behilia’s international debut album, Bendishon disfrasá (OTB01) has been well received in several countries. Since then, this songsmith from Curaçao in the Dutch Antilles has been a welcome guest on various world music radio programs in the UK, USA, France and the Netherlands. Radio France International selected Bendishon disfrasá as their world music selection of the month in August 2004. Otrabanda’s second international release offers the listener live renditions of more of Chin’s compositions both old and new. Chuchubi was the first song he ever wrote at age nineteen and was played initially as a signature tune for a local radio station. Bombakati was penned during his Los Tiarucos days in the 1960s and since been taken to heart by the people of Curaçao as a modern-day fairy tale. Boka di tribon and Riba Dempel are classics of the Papiamento songbook written in the 1950s which Chin listened to when he was a young man and played here in new arrangements. His old classic Ayera has also been given a fresh arrangement. Say Who, Sigi zoja bai and Gaña nan ta gaña are all very recent compositions and already fast becoming standards on Curaçao. His classic ballads Plegaria and No bai, are interpreted here with in a duet with Izaline Calister, the singer also hailing from his native island currently making great inroads on the international world music scene with her latest CD called Krioyo. Tristesa and Mi kanoa and Zona mi protesta are compositions from the late nineties. The songs on this album were recorded at five different concerts held in the Netherlands in October 2003 and September 2004. The venues were the Royal Tropical Museum Theater of the Koninklijke Instituut voor de Tropen ( KIT) in Amsterdam, Theaters De Doelen and Zuidplein in Rotterdam, Theater De Oosterpoort in Groningen and RASA in Utrecht.